With a history dating back to the 1600s and a growth rate of three percent a year, Chesterfield County, Virginia, has no shortage of records to manage. So with its Laserfiche system working perfectly, why would the county change it? To keep up with the ever-changing demands of managing information, of course. The challenge came in successfully migrating to Laserfiche Records Management Edition™ (RME). For IT maven and Laserfiche Administrator Michael Wells, the system is always evolving. He recalls the conversion from paper to document imaging. “The original motivation was to get rid of paper and to allow sharing of documents internally.” In 2001, the IT staff installed Laserfiche in five pilot departments. “All of those departments are still happy users,” says Wells. Laserfiche has certainly simplified life for Kevin Payne, Chesterfield’s Acting Accounts Payable (A/P) Manager. Laserfiche has made the Chesterfield HR team’s life easier, too. Jeannie Harper, Chief of Administrative Services, loves Laserfiche’s search capability. And it’s not just a matter of time saved. It’s hard to imagine tampering with such success, especially since the HR department had built into Laserfiche the complex security model it had labored to create on paper. HR staff relied on Laserfiche’s solid template fields and strict auditing to allow appropriate access to users. But in 2005, the county had to address an important component of records management: the retention cycle. That’s when Wells supervised the installation of Laserfiche RME, integrating the program with the county’s existing records management model. Changing the way the county managed records was an ambitious project. Creating a new folder structure to serve new records-management needs would change everyday procedures, and meshing a new system with the established security structure seemed like an insurmountable challenge. Chesterfield County found that combining Laserfiche RME with Laserfiche Workflow created an ideal solution. 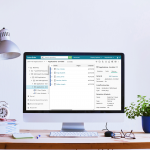 Staff used Laserfiche RME to manage the records retention schedule, assigning access restrictions and creating shared folders to replicate the existing security structure. Using Laserfiche Workflow, they then copied records to the shared folders. The first step in migrating to the new system was to recode the application that created a template for empty records. Chesterfield’s IT department then created an application to copy existing records into Laserfiche RME using the new template. Finally, the team planned out a records series in Laserfiche RME. To implement the process, the scanning staff froze all additions and changes to records. The conversion application created and renamed files and copied the template data from the old system. Wells says that in the future, staff will develop techniques to flag new documents rather than freezing additions and changes. Huge as the task seemed, after 30 days, staff had successfully migrated most of the records. Department liaisons and HR personnel who had used the old system barely noticed the interface had changed. And Chesterfield’s Scanning Coordinator Nancy Pearse has noticed an improvement in security. “Nothing can be added or taken away—Laserfiche keeps everything where it’s supposed to be.” She especially appreciates the time saved with the automated retention schedule, because previously, she had to manually delete records. County employees can donate their leave time to seriously ill coworkers or those with illness in their families. Laserfiche Workflow has put an end to scrambling to meet deadlines for the leave donation program. Harper expects retention schedules to change again. As will technology, no doubt. But Chesterfield County will be ready. 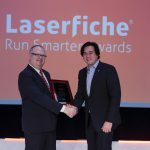 Laserfiche Administrator Wells looks forward to more integrations in the future. And he’s off to a good start. 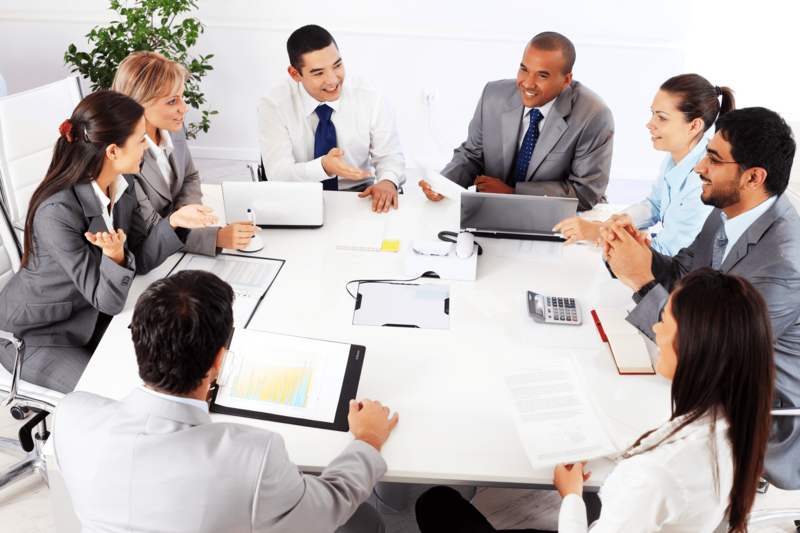 He points to the integration of A/P with the overall accounting system as a particular success. Staff members barcode invoices and input the codes into the mainframe. When the invoices are scanned in, a batch job populates the template fields and moves the invoices to the proper location.